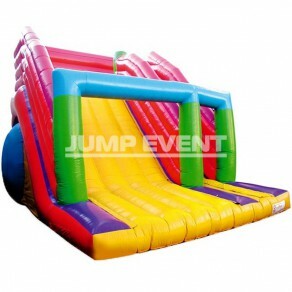 Frightening !Will you dare challenging this frightening monster and coming out of this giant slide unscathed ? QUOTE REQUEST Price not including assembly, freight cost and staff. 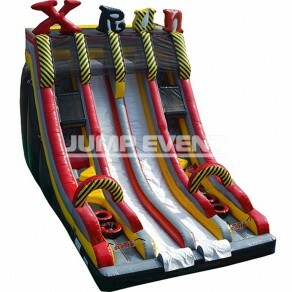 Crazy race !Sportsmen out there, you will be pleased by this Xtrem Course. Challenge other players in this demanding rise, but don't worry, you will have time to recover in the descent. QUOTE REQUEST Price not including assembly, freight cost and staff. 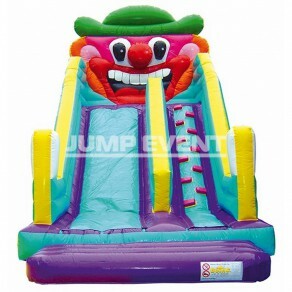 Just like in a circus !Clown Bozo welcomes you to its universe for a sensationnal downhill ! QUOTE REQUEST Price not including assembly, freight cost and staff. 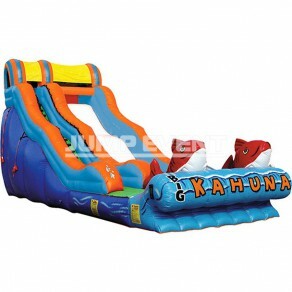 Like a fish in water !Follow the lead of these huge, mysterious red fish on this bumpy slide ! QUOTE REQUEST Price not including assembly, freight cost and staff. Gigantic !High sensations and dizzy descent guaranteed ! QUOTE REQUEST Price not including assembly, freight cost and staff. 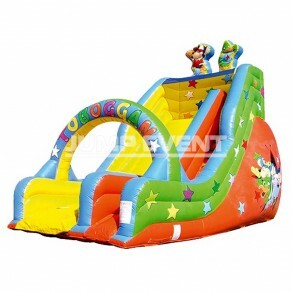 Quick, it's slippery !This giant and colorful slide will take you to a dizzy descent ! QUOTE REQUEST Price not including assembly, freight cost and staff.